On March 1, 2017 in Berlin, Germany Santa Fe was given yet another prestigious, well-deserved award from an organization that knows a pretty city when it sees one: The National Geographic. Santa Fe beat out 100 entries from 45 countries to win a “World Legacy Award” under the “Sense of Place”category. The awards aim to highlight sustainable and global tourism and recipients represent the future of travel and sustainability. The awards come as the United Nations declared 2017 "The International Year of Sustainable Tourism Development." The “Sense of Place Award” was judged on organizations that enhance cultural authenticity, supports and protects historic monuments, archaeological sites, vernacular architecture, indigenous heritage and artistic traditions. Tourism of Santa Fe Executive Director Randy Randall said, " This is an incredible international honor for Santa Fe to be singled out as number one in 'Sense of Place.' It is a testament to what makes Santa Fe so special and truly The City Different." "National Geographic stands for exploration, conservation and stellar storytelling. World Legacy Awards celebrate the people, places and experiences that exemplify our mission in the global travel industry," said National Geographic Travel editor-in-chief George Stone in a statement. This isn't the first time Santa Fe has been recognized by National Geographic. It has been named on the Best Adventure Towns and of The Best High Altitude Cities. As a state, New Mexico possess three of the 21 coveted World Heritage Sites recognized by the United Nations: Chaco Culture National Historic Park, Taos Pueblo and Carlsbad Caverns National Park. Eldorado is the ideal community in Santa Fe County, New Mexico to buy a home. Residents of Eldorado have a great selection of places to shop and dine. The Agora is anchored by the Eldorado Supermarket and has other stores and restaurants including Nina’s Closet, Braemarr Pet Grooming, Enchanted Leaf, Eldorado Country Pet, Chez Dre Bakery, and Pizza Centro. Eldorado also has its residents covered with a fine selection of restaurants. The Old House Restaurant offers contemporary global cuisine featuring rib-eye steaks and local seasonal ingredients from local farmers. TerraCotta Wine Bistro is a casual restaurant with a moderately priced menu, featuring entrees such as Grilled Flank Steak, Southern Fried Chicken, and Branzino Fillet. Other top dining selections include Dinner for Two, IL Vicino Wood Oven Pizza, and Georgia. Eldorado has a strong artistic community and attracts local artists. The Eldorado Arts & Crafts Association holds and annual studio tour every year and features traditional paintings, digital art, and many other types of art for sale. A percentage of proceeds are contributed by the artists to the Eldorado Fire Dept, Elementary School and Library. There are a number of recreational facilities available to Eldorado residents. These include an Athletics Field, Basketball, Community Center, Community Preserve, Dog Park, Greenbelts, Handball Court, Hike/Bike Paths, Horseshoes, Pool, Park on Avenida de Compadres, Play Area at the Community Center, Soccer Field, Stables, Tennis Courts and a Volleyball Court. There's many great reasons to buy a home in Eldorado. Take a look at the fine homes for sale in Eldorado. Here's a preview of what you'll find. The New Mexico History Museum is a sparkling new (it opened on May 24, 2009), architecturally beautiful showcase of the Land of Enchantment’s singular, eclectic and culturally diverse history, covering the last 400 years. It is a sometimes turbulent, sometimes peaceful, but always a fascinating history. It is also a relatively long history. The state’s capital city of Santa Fe bills itself as The Oldest Capital in the United States. 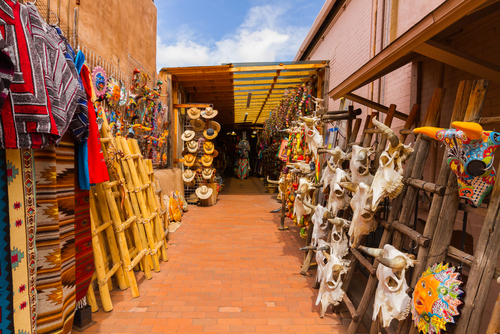 This singular southwest American town is literally colorful and so is its history, as you will discover on your first visit to the New Mexico History Museum, located at 113 Lincoln Avenue in the heart of Santa Fe’s historic Plaza. Santa Fe was initially inhabited by a group of American Indians from the Pueblo tribe between the years of 1050 to 1150. Exhibitions in the 96,000-square-foot New Mexico History Museum enlighten and broaden the horizons of residents and visitors alike about a vast expanse of the state’s colorful settlers, from the Spanish Conquistadores and Mexican pioneers, up to and through the period in which the legendary Santa Fe Trail guided a generation of settlers headed to all points west. As you casually stroll among the exhibits, interactive multimedia displays and mesmerizing photographs, the artwork and handcrafted jewelry, you are bound to come across some names that just might be familiar to you, such as Kit Carson, Billy the Kid and Robert Oppenheimer. The New Mexico History Museum strives to achieve a relatively new position within the community of Santa Fe and New Mexico as a whole. Its mission, as stated on its website, is to provide more to residents and visitors than dusty old artifacts and obscure objects. It serves as a civic hub and educational partner, actively engaged in the social life of the community. One of the methods by which the museum is striding confidently toward its goals is through the efforts of the staff and variety of the offerings at its other campuses, such as the Palace of the Governors, the Fray Angelico Chavez Library and the Palace Press. Free Fridays from 5 p.m. until 8 p.m. Priced out of Scottsdale and Sedona? Try the "next Arizona." For decades, the 65-plus crowd has flocked to Arizona hotspots like Scottsdale and Flagstaff. But with prices in these retiree-friendly markets soaring, a growing number of retirees are looking east to what some call the next Arizona: New Mexico. What many retirees are finding is better deals, say experts: The median home in New Mexico costs just $150,000 and the cost of living is 5% lower than the national average. And for those retirees set on living in the Southwest, the state can be far less expensive than much of Arizona. Santa Fe -- though not exactly cheap at 18% above the national average -- has a lower cost of living than Scottsdale (29% above average) or Sedona (37% above average). Plus, retirees like that taxes in New Mexico are relatively low -- income tax tops out at 4.9% and real estate taxes are below average. Residents say "The Land of Enchantment" also lives up to its name, with jagged snowy mountains and dense forests in the north, and wide swaths of pink-and-orange deserts as well as white mesas (table-top-shaped cliffs made from the mineral gypsum) further south. All provide hiking, skiing and great vistas. "New Mexico has more attractive weather and appears less expensive and more culturally diverse than Arizona," says Doug Nelson, founder of TCI Wealth Advisors in Santa Fe. But retirees can't just plunk down anywhere. The state is one of the least populous in the country with just over two million people. Large chunks of land are virtually uninhabited. In these stretches, when you do hit a town, it's bound to be tiny and remote. Furthermore, 18.4% of the state's residents live below the poverty line, compared to 13.8% for the nation as a whole, and the number of doctors per resident in the state is significantly lower than the U.S. average (197 physicians per 100,000 population in New Mexico compared to 221 nationwide, according to Sperling's Best Places). Still, residents say the 47th state has much to offer retirees, including unique cuisine, art and architecture, thanks to the state's Native American and Hispanic influences. Here are three destinations advisers say are worth checking out. After years in Los Angeles, 65-year-old Jeanne Kitzman decided it was time for a move. "It was between Sedona and Taos," she says. She liked that both were artsy communities with outdoor activities. In the end, Taos won out. She liked the friendly, open nature of the people there and the low-key spirit of the community. "I can walk into any store and have a meaningful conversation with someone," she says. And Taos doesn't feel as ritzy as Sedona, she says. "It isn't overflowing with mall shopping, just unique boutiques and plenty of arts." 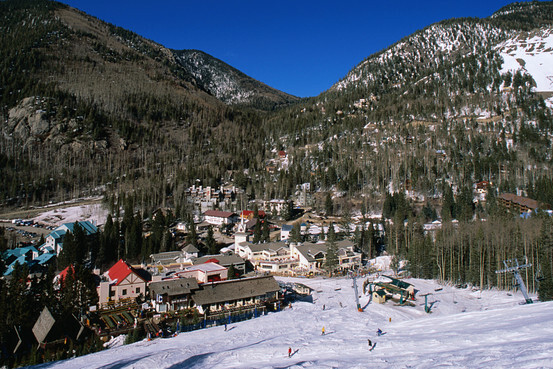 Taos is probably best known for its skiing. The Taos Ski Resort is one of the most popular in the state, with good reason: The diverse terrain offers 110 trails and a vertical drop of 3,274 feet. Then there's the amazing combination of 305 inches of annual snowfall and 300 days of sunshine per year. These same mountains also offer abundant hiking, camping, river-rafting and even llama trekking, says Joan Griffin, a spokesperson for the area. The town has a hippie-ish, new age vibe. "It's a very spiritual and healing place," Griffin says. "There are all sorts of practitioners, classes and opportunities to grow at every level." That may be part of the reason Taos has always been a mecca for artists. Georgia O'Keefe and Agnes Martin have both called Taos home. Today the town has roughly 60 art galleries, many offering art classes and volunteer opportunities for seniors. The town's history is also a point of interest. The Taos Pueblo is the longest continuously inhabited pueblo in the country. The Pueblo Indians have lived there for more than 1000 years and still live there today without running water or electricity. Interested retirees may attend tours and events, including traditional Pueblo ceremonies. There is one drawback. Taos is a bit remote with the Sante Fe airport a full hour's drive away. For more options, Albuquerque is two hours away. This town is pricey, at least by New Mexico standards. The cost of living is nearly 18% higher than average and the median home is priced at nearly $300,000. But, residents say the Sante Fe lifestyle is worth every penny, especially if you're looking for art and culture. Santa Fe has the fourth largest art market in the country in terms of sales, according to the University of New Mexico Bureau of Business and Economic Research. The annual international art fair, Art Santa Fe, attracts thousands of enthusiasts and dealers from around the globe. For residents, the town offers 240 galleries -- many of which stay open late on Fridays providing appetizers and wine. Probably more than 10% of Sante Fe's population is involved in the art world, says Steve Lewis, a spokesperson for the Santa Fe Convention & Visitor's Bureau. This arty vibe is one of the reasons the city is nicknamed "City Different." Sante Fe is also the city of reinvention. Experts say there's a reason why so many songs and books are set in this desert bohemia. "We get so many people who come here and want to do something completely new," says Lewis. For many, it's the right place to finally have time to paint or draw all morning, write that novel they've been pondering for decades, or to volunteer at one of the areas' dozens of art and history museums, he says. A retiree who is artsy and intellectual "will be at home here," says Sabato. The town itself is a mix of a relaxed vibe and big-city sophistication. Retirees often spend the day hiking in the Santa Fe National Forest, just seven miles from downtown, or biking in the nearby Rocky Mountains. Top the day off with Santa Fe's trademark cuisine derived from Native American and Spanish influences. Sante Fe is home to a major medical center. The Albuquerque airport, which serves 10 major airlines, is about an hour's drive. Las Cruces is, in many ways, a city of contrasts. It is nestled in the verdant Mesilla Valley but also at the crossroads of two deserts. It is flanked on one side by the Organ Mountains, which seem to erupt from the grasslands, and on the other side by the meandering Rio Grande, which sits on swaths of flat land. The culture is also full of contrasts. Pueblos, Apaches and Navajos have called this land home for centuries and their influence (and language) is still strong in the area. But so are European influences. Nowhere is this mix more evident than in the native crafts -- everything from hand-woven Native American ponchos to modern silver jewelry -- sold at the local craft market on Main Street downtown. Meanwhile, Spanish is as common as English here and pueblo architecture abounds. Plus, you can't beat the low cost of living here -- the median home costs just $146,900 and the cost of living is nearly 8% below the national average. True, Las Cruces is a bit isolated. The nearest airport is 40 miles away in El Paso, TX. Resident say that two big draws make up for the remote location. There's plenty of great golf and Mexico State University is right here, says Chris Faivre, a spokesperson for the Las Cruces Convention & Visitors Bureau. The University offers an orchestra, a new performing arts center, a large sports program and dozens of continuing education courses. Plus, there are four year-round golf courses with greens fees far less than those in Arizona, says Faivre. 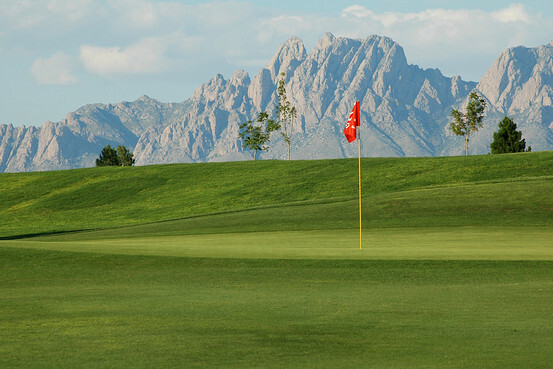 You can play at courses like the New Mexico State University course, where the NCAA men's and women's championships and tournaments are played, or the Picacho Hills Country Club, which has twice played host to the American Junior Golf Association (AJGA). 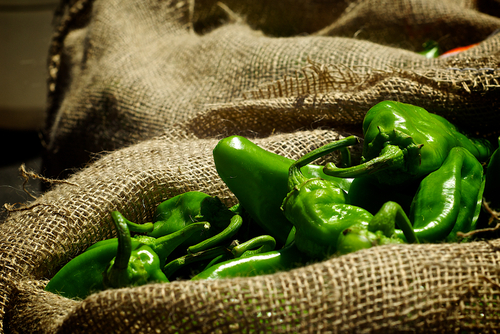 If you’re a Santa Fe resident, you know how seriously the locals take chile. We even spell it with an ‘e’ instead of an ‘i’, reflective of the New Mexico-grown chile peppers used to make it. As perhaps the most definitive food of New Mexico, there are many places to eat authentic, delicious chile in Santa Fe. 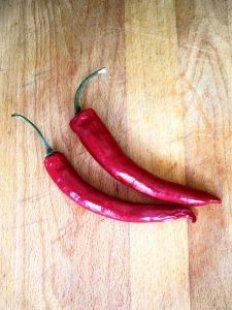 Diners have a choice of green or red chile, and they are added to many different types of food from pizza, to burgers, to burritos. I’ve selected the top three places in Santa Fe for the best chile based upon customer reviews from Yelp.com. Those relocating to Santa Fe will want to sample at least one of these Santa Fe restaurants to get a taste of the local flavor. The Pantry is a family-owned restaurant and has been serving comfort food to Santa Fe residents and visitors for over 60 years. Customers rave about The Pantry’s breakfast, with many of the items on the breakfast menu either containing or “smothered” in red or green chile sauce. Don’t overlook the lunch menu: sandwiches, burgers, soups, salads, and tacos ensure that there will be something delicious for everyone in your party. Of course, chile can be added to each item to spice up your meal. Reviewers recommend the Huevos Consuelo, the breakfast burritos, and the ever-flowing coffee. Bobcat Bite is another Santa Fe restaurant which is family owned and operated. Famous for their Green Chile Cheeseburger, this is a place those relocating to Santa Fe must visit to experience New Mexican history and flavor. Bobcat Bite has been featured on the Food Network and in various newspapers and magazines for their comfort food and long-time history in Santa Fe. Voted as the best burger in town, you might have to plan your Santa Fe visit around trying one for yourself! Needless to say, reviewers raved about the Green Chile Cheeseburger, and remind future diners to bring cash. La Choza is frequented by Santa Fe locals rather than visitors, so you’ll have a shorter wait time for a table at this Mexican restaurant. Authentic Mexican dishes such as enchiladas, tamales and burritos are served with, of course, your choice of red or green chile. La Choza also offers less traditional Mexican dishes with Santa Fe flair, like the Green Chile Clam Chowder. The menu allows diners to select from sangria, bottled beers and a selection of beers on tap, agave wine margaritas, several different types of wine, and a delicious dessert menu. 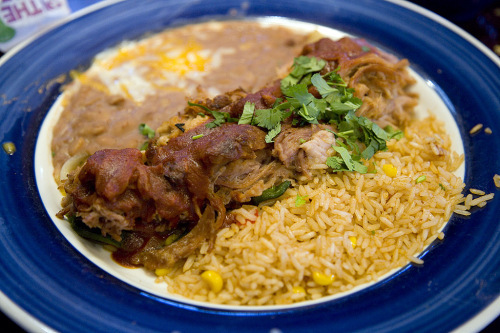 Reviewers recommend the Green Chile Stew, Enchiladas with Green Chile, and Chiles Rellenos. With so many ways to experience Santa Fe culture, eating a meal spiced up with your choice of New Mexico-grown chile peppers is one of the best. Santa Fe residents are passionate about chile, not only for the taste, but also because chiles are such a definitive aspect of New Mexican culture. If you’re considering a move to Santa Fe, I hope you find that these recommendations for experiencing Santa Fe culture will win you over. If you need any assistance in getting acquainted with Santa Fe, please contact me. As a Santa Fe real estate expert, I’d be happy to help you get settled in! Santa Fe made it to yet another US News and Money Report Ranking! This time, it's been featured as one of the 10 Best Places to Reinvent Your Life in Retirement. 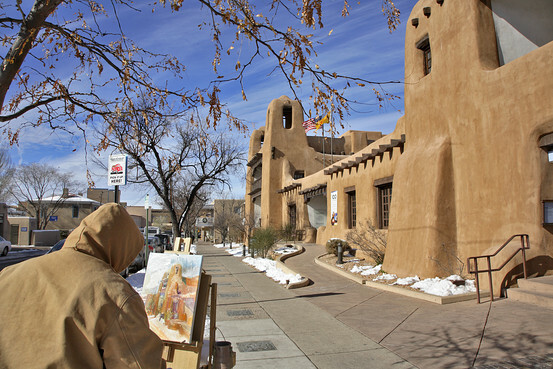 With 300 galleries and dealers and over a dozen major art museums including the Georgia O'Keefe Museum and the New Mexico Museum of Art, Santa Fe serves as an art lover's paradise. The retirement years are a time to reinvent yourself. You are ending one point in your life and turning over a new leaf. Santa Fe does serve as a great place to find new hobbies and passions or maybe revisit old ones. There are so many volunteer opportunities within the art community - from the art museums to the art markets. 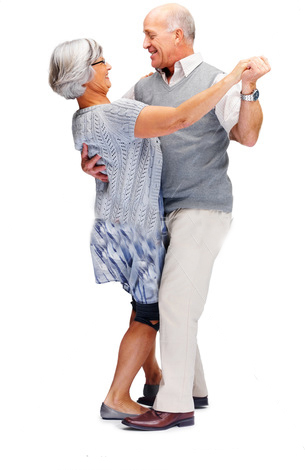 Activities like golfing, nature walking, and Native American culture are all ideal for the retirement age. These are the kinds of activities that make one feel like a kid again, no matter how old you are. 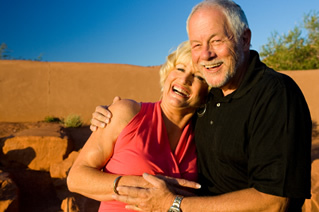 If you are closing into your retirement years and are looking for a new place to call home, then maybe Santa Fe Real Estate is for you. Give me a call and I can show you some beautiful Santa Fe Homes - whether you want to be in the Historic Downtown Santa Fe right in the heart of all the action, or in Los Alamos Santa Fe where you can find a home miles from civilization - Santa Fe is the perfect place to begin new life adventures. It's officially September in Santa Fe and that means that it's chile season! Our chile, however is not the same chile that most of you cold weather cities are experiencing this time of year. Our chile is a beautiful vibrant colored fruit that takes over Santa Fe in September. Chile roasters pop up on every corner - from parking lots to grocery stores. You can literally smell the aroma of roasting chiles in the streets. The best way to celebrate this native-grown fruit is the same way Santa Fe celebrates everything - with a festival! The 20th Annual Santa Fe Wine and Chile Festival runs from Wednesday September 22nd to Sunday September 26th. Attend seminars and tastings featuring special guest presenters like Master Chefs and Sommeliers. Learn how to pair wine with southwestern cuisine - most made with chiles of course. The 17th Annual Gruet Golf Classic has a different sparkling wine with a food from a different restaurant at every third hole. This event is simply fantastic and opens up your taste buds to the finest in Southwestern cuisine. It's so popular, in fact, that many of the events and presentations are already sold out, but it's worth a try to at least get on the waiting list and be the first in line come next year. 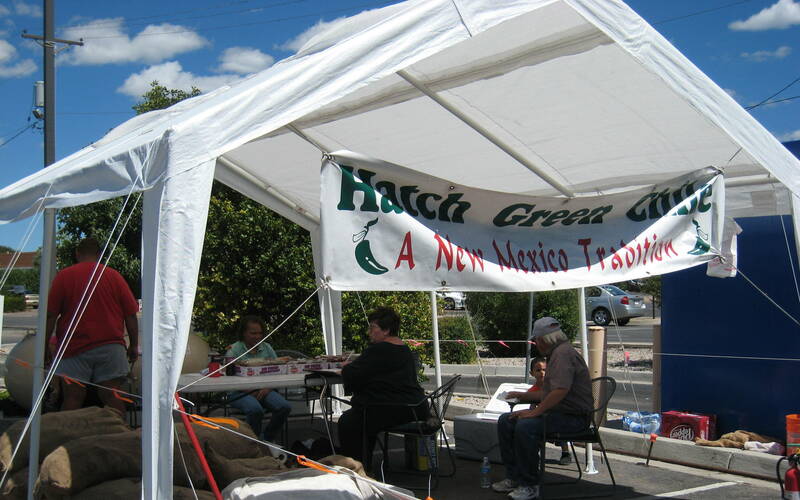 Over Labor Day weekend, I attended the other notable Chile haven - Hatch, New Mexico. The annual Hatch Chile Festival is held in the tiny town of Hatch known for their incredible chile headquarters where their farmers are constantly creating new breeds and various tastes. Burritos, enchiladas, gorditas, caldillo, chile verde con carne, tacos, chiles rellenos, chile-topped burgers, chile in a sack, chile powders and chile sauces - it's like Bubba Gump's shrimp story, but with chile. Even though the festival is over, you can still order Hatch chile in every form imaginable - seeds, dried, fresh, frozen, canned, and other specialties - straight from Hatch's New Mexico Chile website. Take a look below for pictures of my trip. I can almost smell the chiles just looking at the pictures. 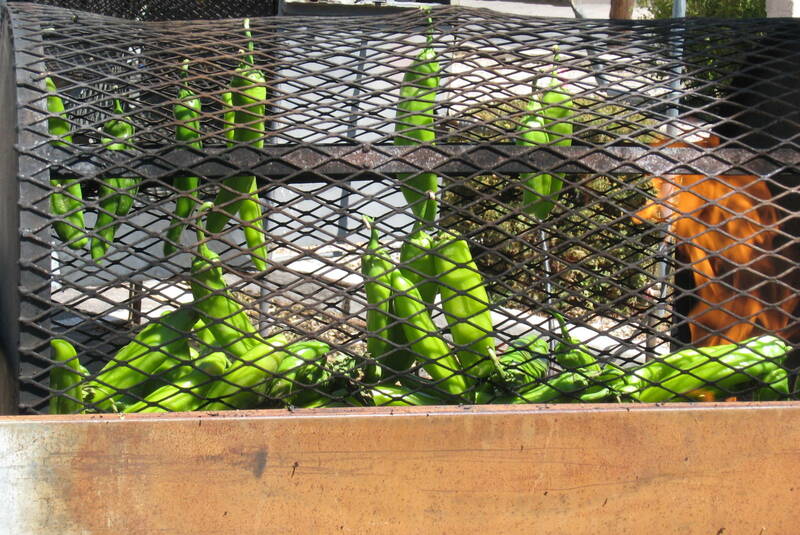 As I said above, with Santa Fe's abundance of chiles, almost no food is safe from a chile experiment. You must make a trip to the Santa Fe Farmers Market for a jar of Heidi's rasberry jam. The most popular jam called "followed by red chile," combines molten rasberries with red chiles. Just take a look at Heidi's website to see what a runaway hit this chile concoction has become. If you like the sounds of a city where chile fills the streets, food and culture are coveted, and taking breaks on the golf course means stopping for a wine tasting every third hole, then Santa Fe Real Estate is for you. If you are looking for a Santa Fe Home, please give me a call. I would be more than happy to introduce you into my world.